The Bundum Conference Hall, rebuilding begins. The old conference hall at the Bundum Retreat Center (BRC) is now being removed and a new conference Hall will be erected at the same exact site. The conference hall was first built about 25 years ago by Dr. Bergman who was the founder and the former manager of the BRC. As recalled by many elders, for the last 25 years, this conference hall has contributed so much into the development of ELC-PNG. 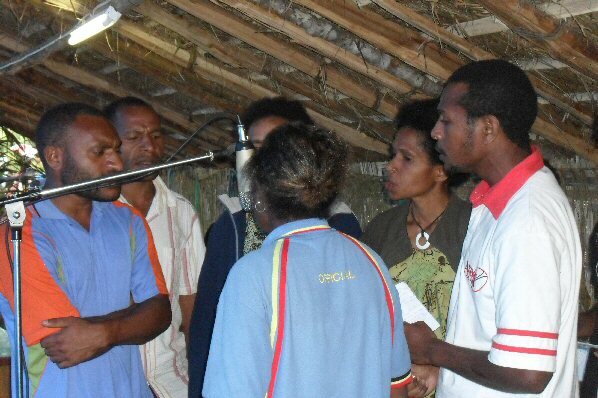 There were review workshop, course/skills training, bible studies, conferences, meetings, and retreats from all the seven departments of ELC-PNG being held under this conference hall. According to Rev. Binora, the conference Hall was really deteriorated by whether over time and it is really a need that the conference hall be reconstructed. 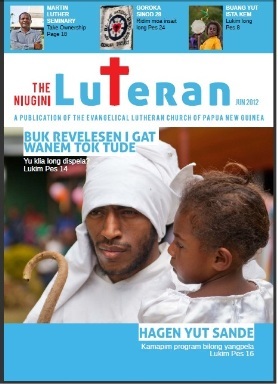 On Sunday 11th April 2010, a Worship Service was conducted by the ELC-PNG church officers at the Conference Hall to officially decommission the Hall so that reconstruction work can begin. After the service, to mark the decommissioning of the building the pulpit that stood under the Conference Hall’s roof for the last twenty-five (25) years was removed and taken outside the Hall. mentary, primary and secondary schools. 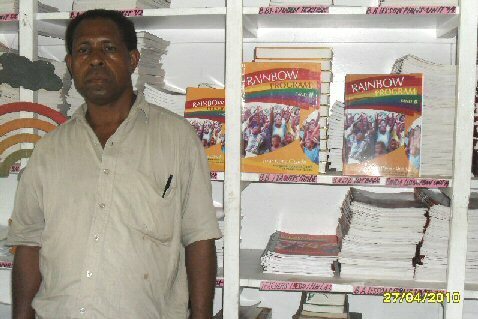 The program was developed by the Education department of the Evangelical Lutheran Church of Papua New Guinea (ELC-PNG). According to the Lutheran Education Assistant Secretary, CLS, Mr. Duaro Embi, the content of these materials is written in a more Christian Living context that is suitable for all Christian oriented schools and organisation. About forty (40) schools around the Highlands, Morobe and Madang area gathered during this Easter weekend at the Aiyura National High School to celebrate the death and the resurrection of our Lord Jesus Christ. The Lutheran Schools’ Easter Camp is an annual event hosted by various schools throughout the country. 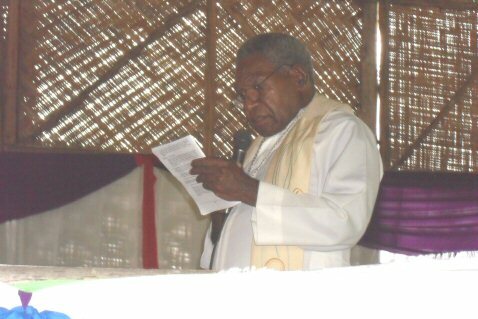 Last year, 2009, the Bumayong Lutheran Secondary School in Morobe hosted the event and this year 2010 it is hosted by the Aiyura National High School (ANHS) in Eastern Highlands province. The camp registration office reported about 1500 participants. The theme of this camp is “To know the Will of the Resurrected Christ, Colossians 3:1-17”. The camp started on Thursday, 1st of April and ended on Sunday, 4th April 2010. Jesus said, “Go ye therefore, and teach all nations, baptizing them in the name of the Father, and of the Son, and of the Holy Ghost; teaching them to observe all things whatsoever I have commanded you … (Math 28: 19 -20 NKJV).” This great calling and commission was and is commanded unto everyone who called themselves Christians. The call is for all of us. 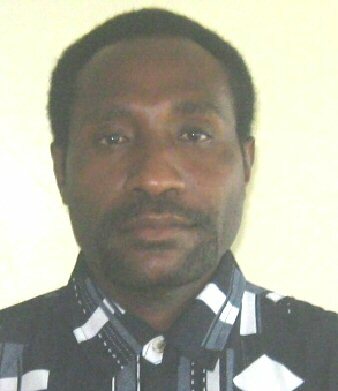 Siwert Robert is currently a teacher at the Morobe Special Education Resources Center (MSERC), and a member of Papua New Guinea Lutheran Students and Graduates Partnership (PNGLTSGP). He has come to perceive that calling as a “high demand call” by God to reach out to the unreached and unsaved portion of humanity. Challenged by the great evangelical statement by the first baptized local Lutheran evangelists from Finschaffen “taim yupela igo, yupela i ting bai yupela kam bek o nogat?” [When you go, do you think you will ever retrun home], when asked by missionary Kaiser They confidently replied, “mipela ino ting bai mipela kam bek.” [We do not think we will ever return]. Siwert has raised his hands to leave his job, family, loved ones and his country to go after this call. 7th of March 2010, forty-one (41) days after being elected on the 14th of January 2010, the new Head Bishop Reverend Giegere Wenge now confessed his oath as the Head Bishop of ELC-PNG to the Christian believers of ELC-PNG, members of the Lutheran Overseas partners of ELC-PNG who arrived from Evangelical Lutheran Church of Bavaria (ELCB), Northelbien Lutheran Church (NMZ), Leipzig Mission, Evangelical Lutheran Church of America (ELCA) and Lutheran Church of Australia (LCA), the Governor of Morobe Province Hon. Luther Wenge and the Minister for Defense and member for Kabwum, Hon. Bob Dadae representing the state.